The government has issued a forced academisation order against John Roan School, Greenwich. 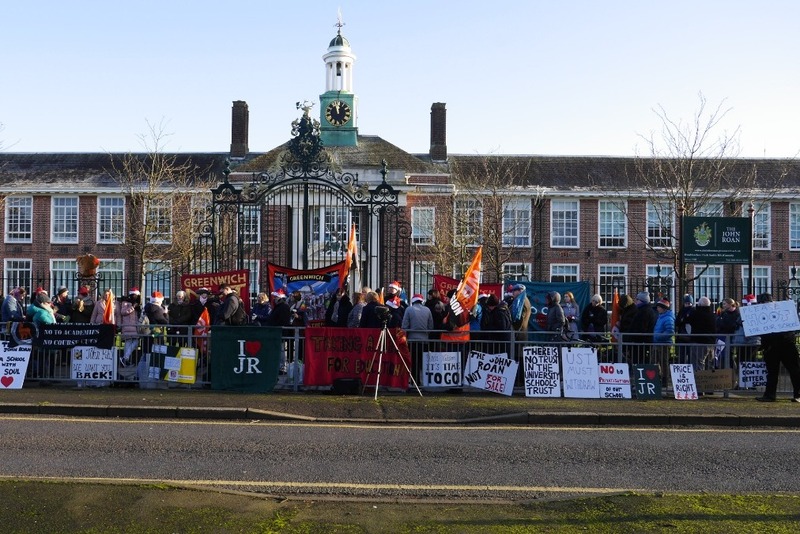 School staff, parents and community members have been campaigning to save their school for over 6 months including teachers taking 7 days of strike action. Support staff in the GMB union took action on the 29th November against redundancies. NEU members respected the picket lines and joined them in solidarity. GMB members have voted to continue their action on 11, 12 & 13th Dec 2018. NEU teachers will not cross GMB picket lines and will be out in unity. Especially at this time of year taking such action comes with a cost and is a real sacrifice. Trade unionists and other supporters locally and from across the country have expressed solidarity for this crucial battle against the privatisation of our education system. We also need your financial support. 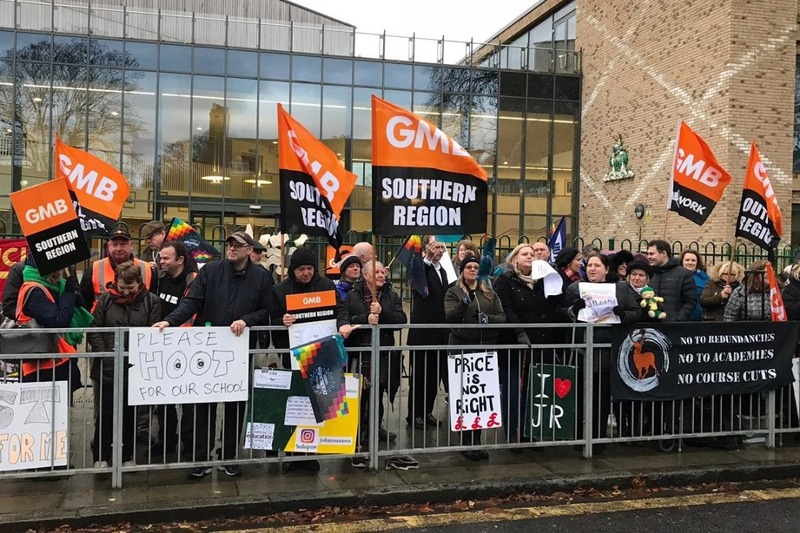 After UST refused basic demands from the GMB to be on equitable terms to the majority of other Greenwich schools three more days of strike action are taking place starting today. Please share and encourage contributions to this hardship fund to enable these school staff to fight for basic rights at work.